Why Does Immediate Implant Fail? 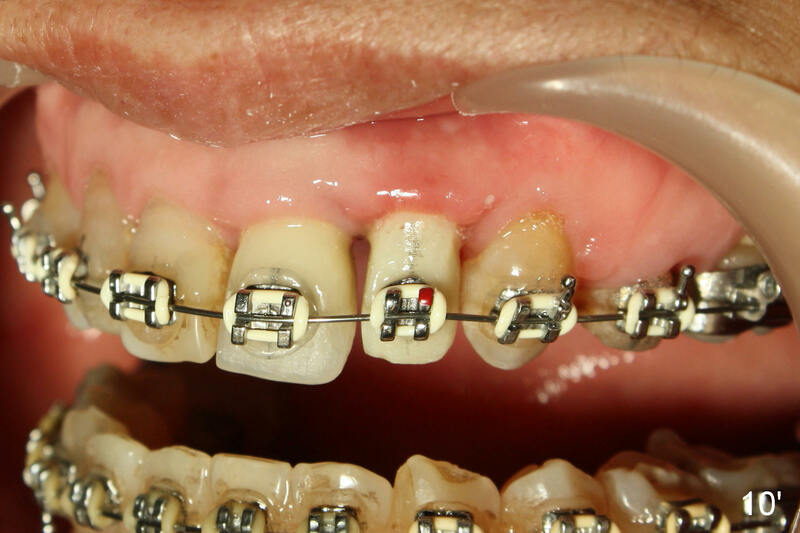 A prominent feature of implant failure in this case is pain. The patient feels that the pain is from the base of the nose. 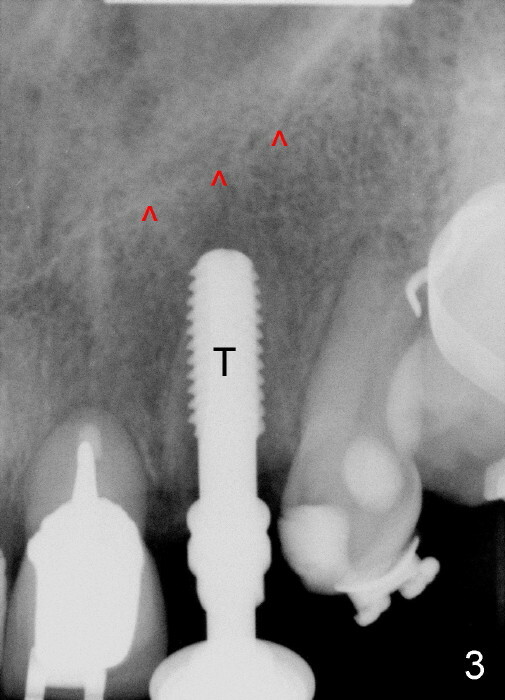 PA taken 3 days postop shows that the implant is inferior to the nasal floor (Fig.2 red ^). 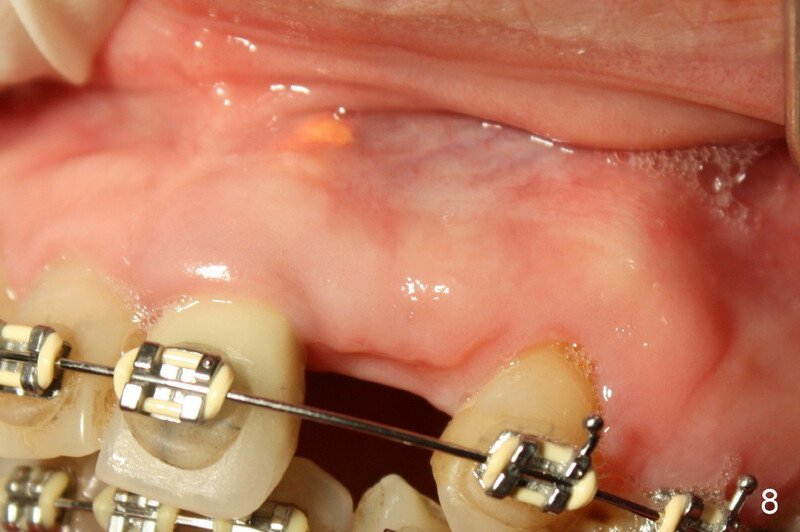 Clinically, the buccal gingiva continues to be erythematous 10 days postop (Fig.1). 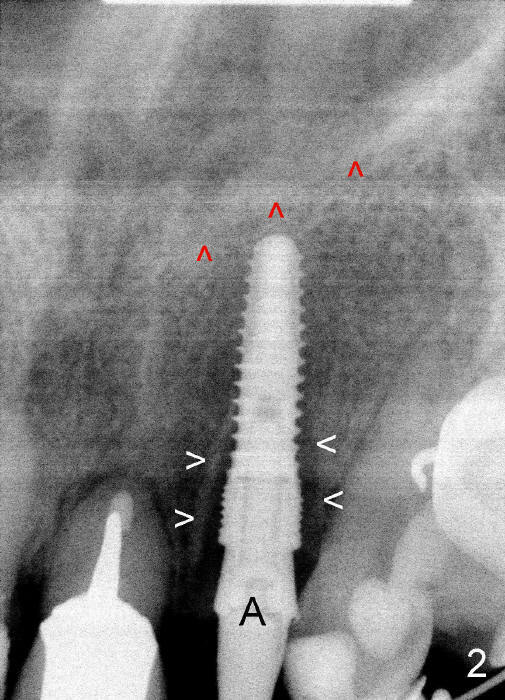 The pain is so unbearable that the implant (3.8x14 mm) is removed 10 days post placement. 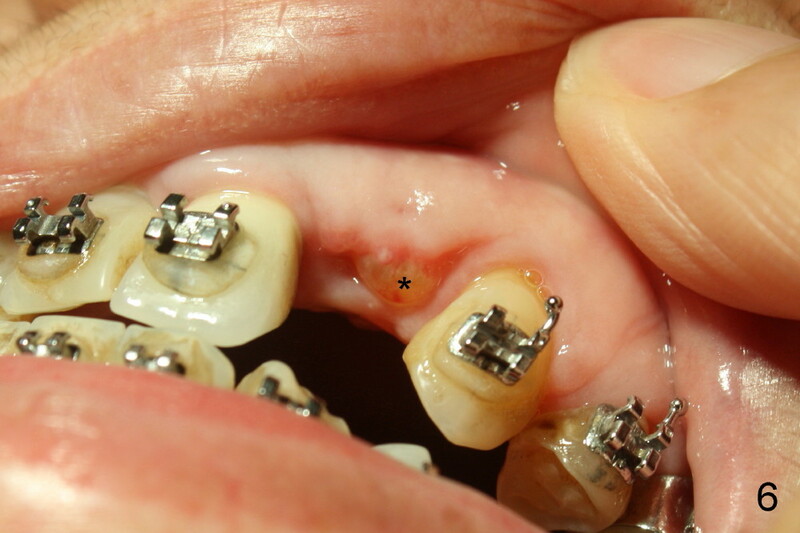 After repeated debridement, a 4.1 mm tap (Fig.3 T) is manually inserted with torque. 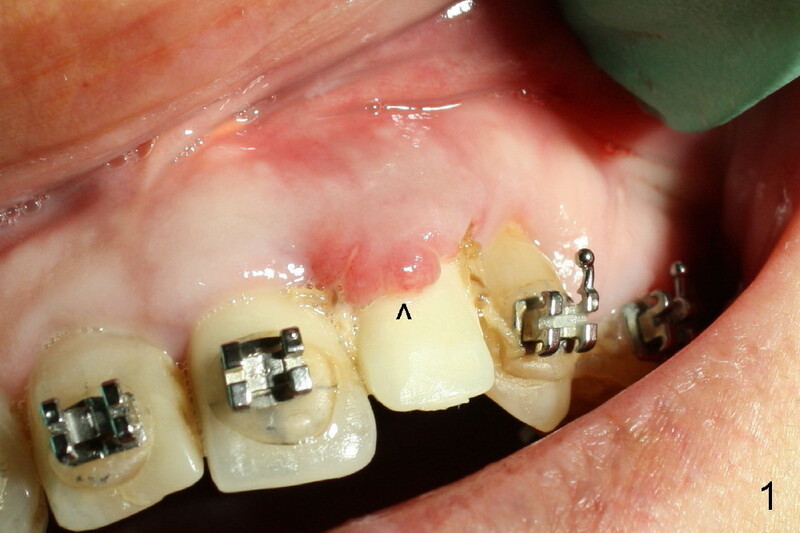 A 4.1x14 mm submerged implant is placed with insertion torque < 30 Ncm, but it is placed subcrestally (Fig.4 <--). This time an immediate provisional is not provided. The flap is sutured. The pain disappears immediately. No infection is found 7 days postop (Fig.5). However, an asymptomatic vesicle is noted at the crest 3 weeks postop (Fig.6). 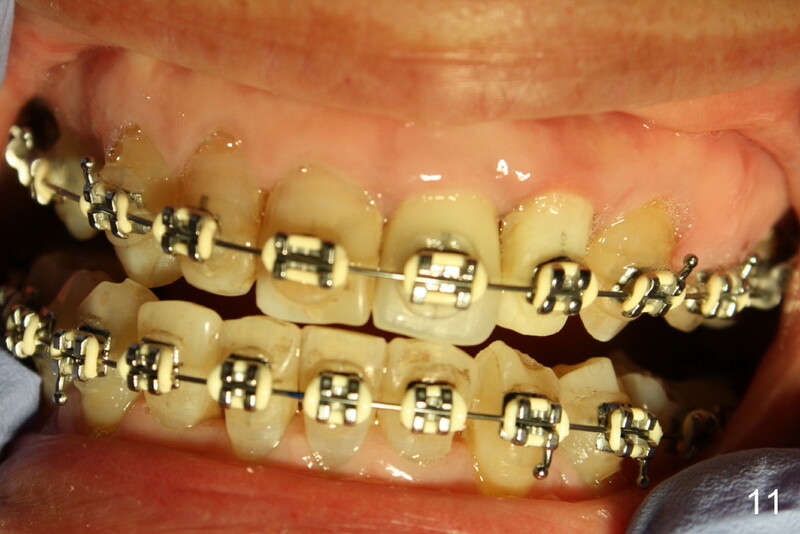 The gingiva looks normal 2 and 3 months postop (Fig.7,8). The coronal gap dissolves 3 months postop (Fig.9 >, as compared to Fig.4), suggesting osteointegration. 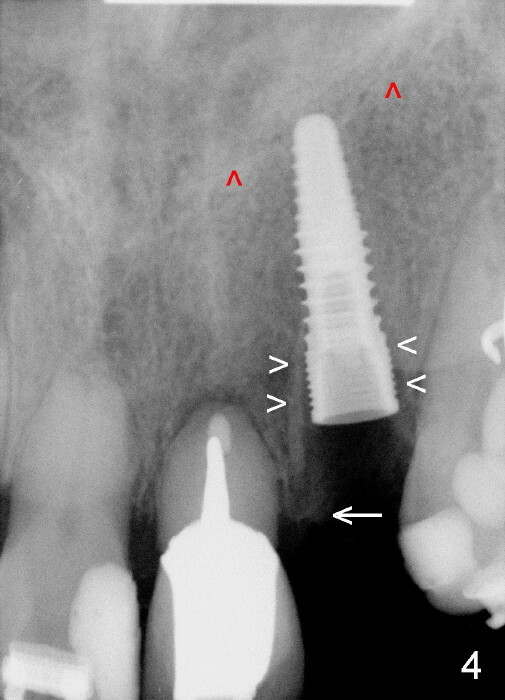 The implant is uncovered 4 months postop (Fig.10). 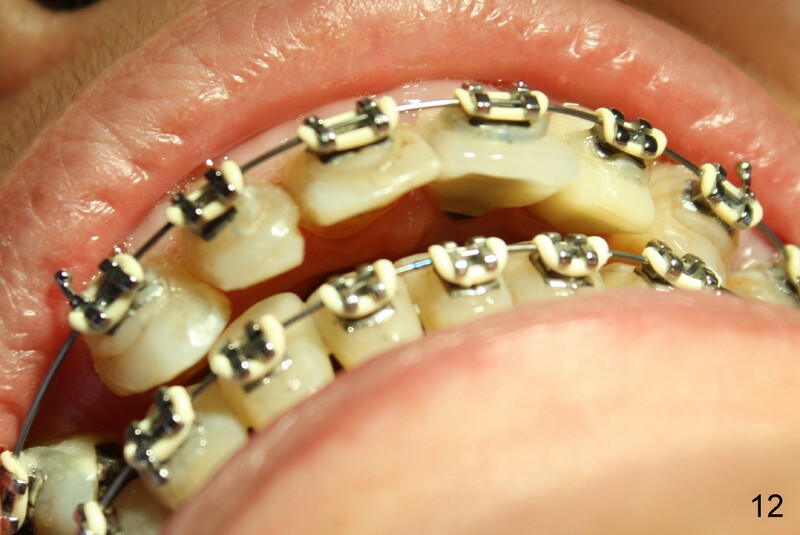 Bracket is placed 5 months postop (Fig.10'). One month later, the left central incisor improves in position coronocervically (Fig.11), but the overjet needs correction by distalization of the upper anterior teeth. The implant at the site of #10 may be used as an anchorage. 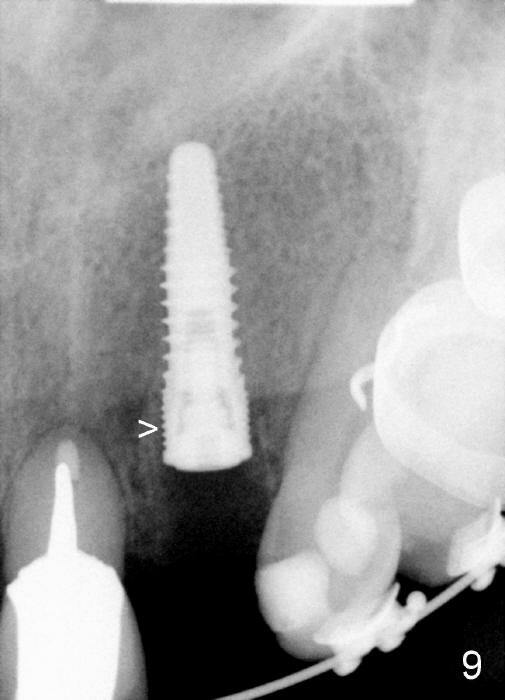 There are probably 2 main reasons for implant failure. First, the infection is subtle. 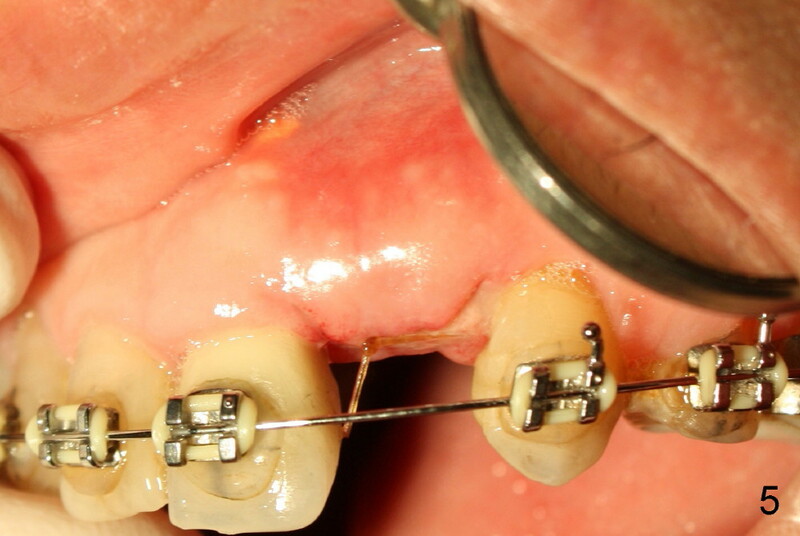 The residual root is subgingival. Preop antibiotic is not taken long enough. Intraop debridement may be not thoroughly enough. Second, the insertion torque for the first time is low. The implant should have been buried. Instead it was loaded immediately at the patient's request. 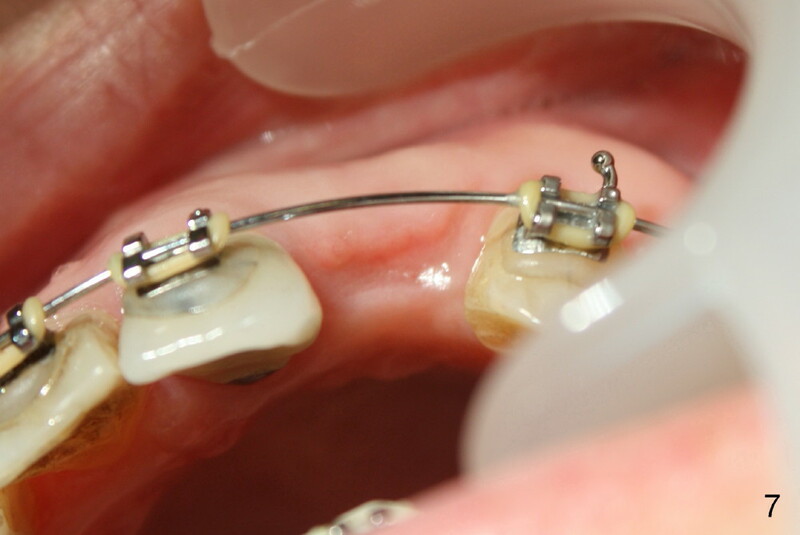 In all, immediate implant should be recommended, but not guaranteed. 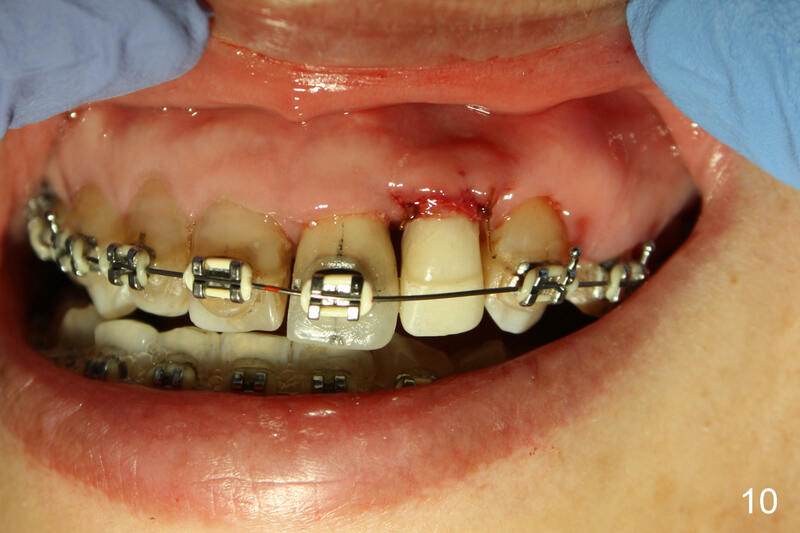 If an infection is not under control, selection of immediate implant should be cautious. When the insertion torque is low, immediate loading should be avoided. Restoration turns out to be difficult.